I have a lovely giveaway for you ladies and gents at the end of this blog! A free 5-course feast for two? Say no more! In the meantime though, come join me at one of my favorite new beach hangouts in Dubai; La Mer! A brand new development which is already proving overwhelmingly popular with both expats and locals. 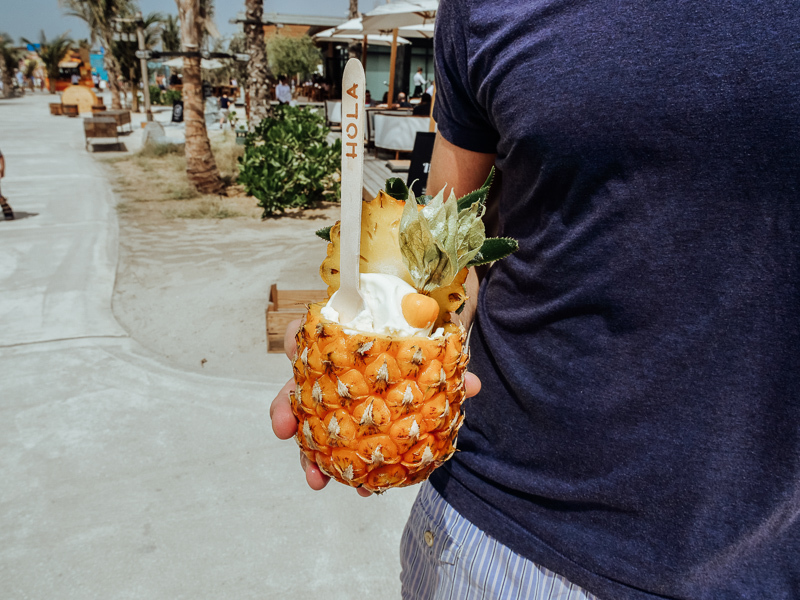 With a sumptuous selection of brand new restaurants and a beautiful white sandy beachfront open to the public, it’s no wonder I’ve been dragging Jack along most weekends that the weather permits it! And if that wasn’t enough, it’ll be opening up a private beach club and waterpark in the coming months! 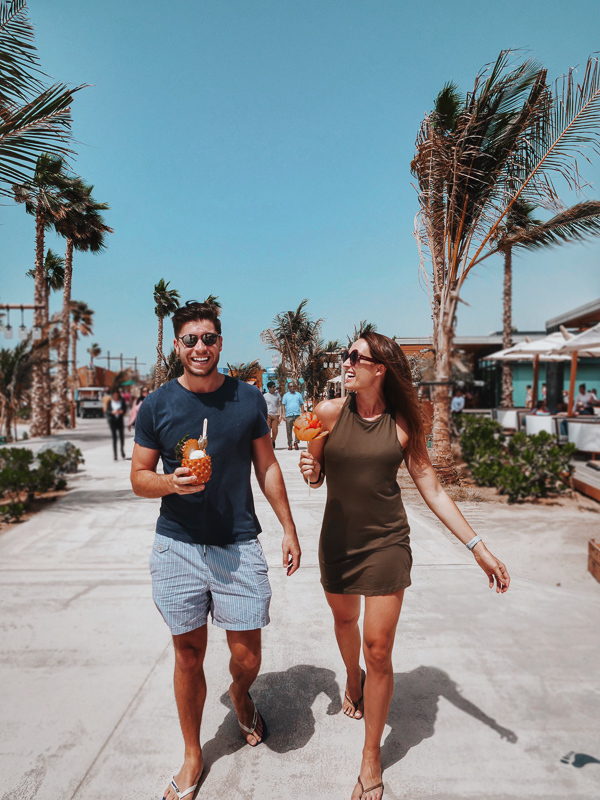 Oh, and did I forget to mention that unlike its older sibling, JBR, La Mer has a few licensed restaurants which is great news for the wine & beach lovers amongst us! The licensed restaurants are few, but it offers a nice balance respecting local culture whilst allowing expats and tourists to enjoy a glass or two with dinner should they want it. Masti and Stars’n’Bars are currently the two restaurants serving alcohol. 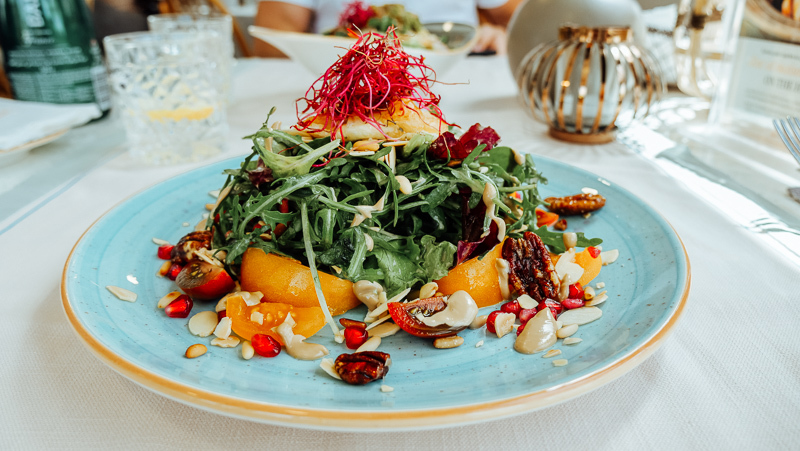 I have picked four of my go-to spots at La Mer, one for breakfast, lunch and dinner, and then for all my healthy snack lovers, a fab Latin-American fruit-based enterprise. 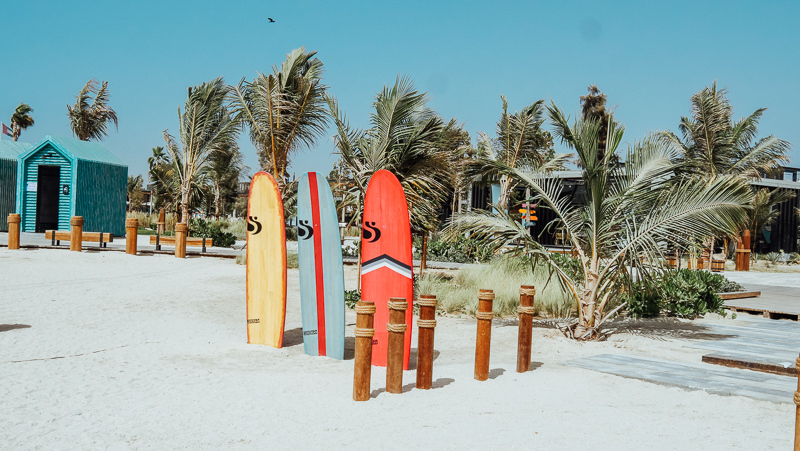 For those of you interested in the beach side of things, sunbeds and umbrellas are available on a first-come-first-served basis and cost 50 DHS each. In good weather months, it does get busy pretty early so get down around 10/11am if you want a good chance of securing a bed! The Duchess CafÃ© was founded by a wonderful Emirati lady named Alia who wanted to pour her passion for food into a restaurant that delighted. 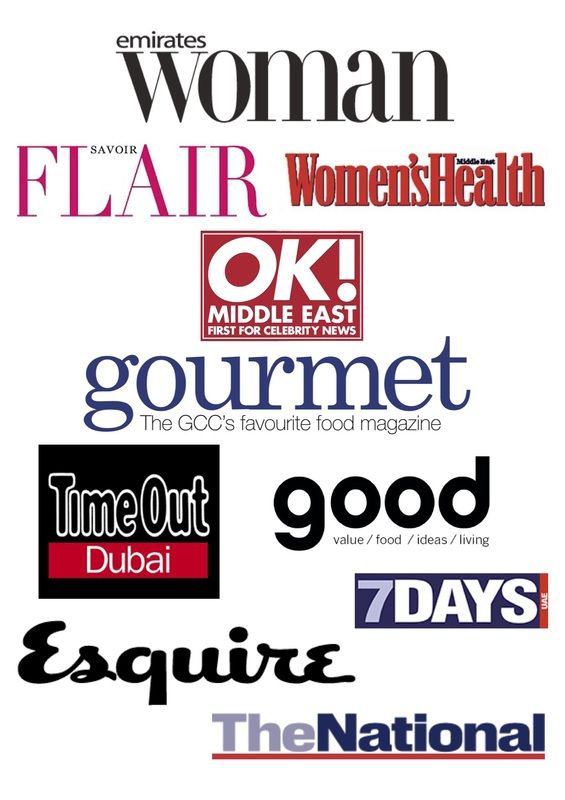 Somewhere that offered the much-loved classics (with a twist), healthy options and the more indulgent choices. Balance, right!? 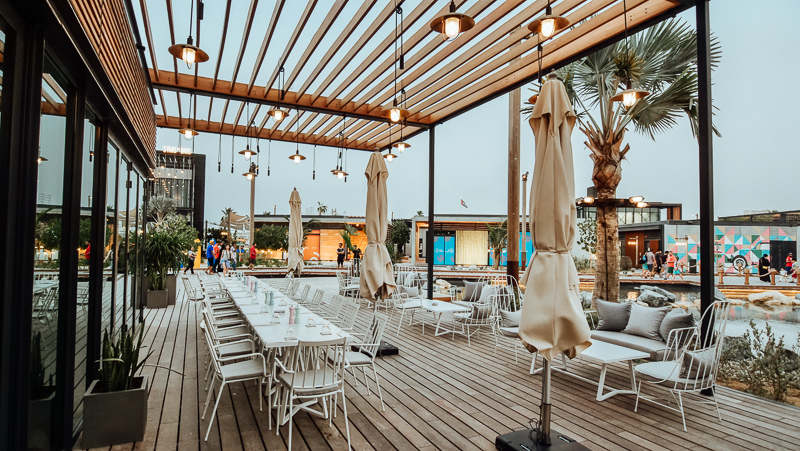 It’s one of the consistently busiest new openings, possibly helped by the fact that The Duchess is bang in the middle of La Mer’s beachfront, a fab people-watching spot with a beautiful outdoor terrace and eclectic indoor space to suit all. Good location or not, I’d be visiting this place for food alone! Think Breakfast at Tiffany’s meets The Ivy London. It’s chic, it’s modern, stylish, yet inviting all the same. My personal favourites? 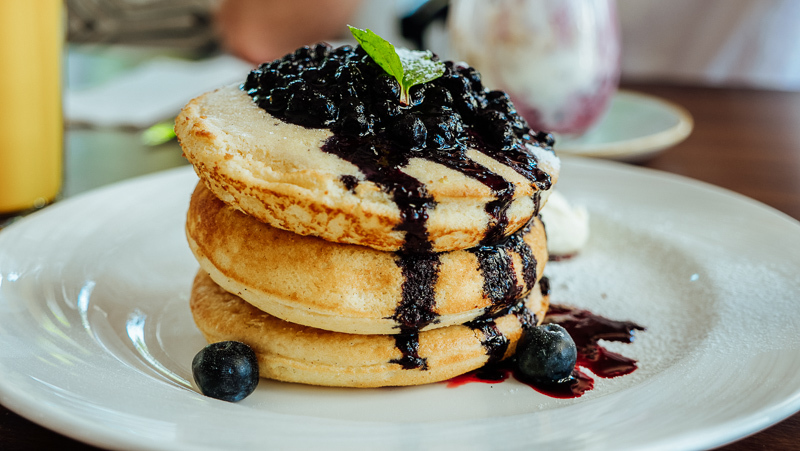 The blueberry compote pancakes (ridiculously fluffy on the inside yet beautifully crispy on the out!) and the super creative huevos rancheros served with black beans. 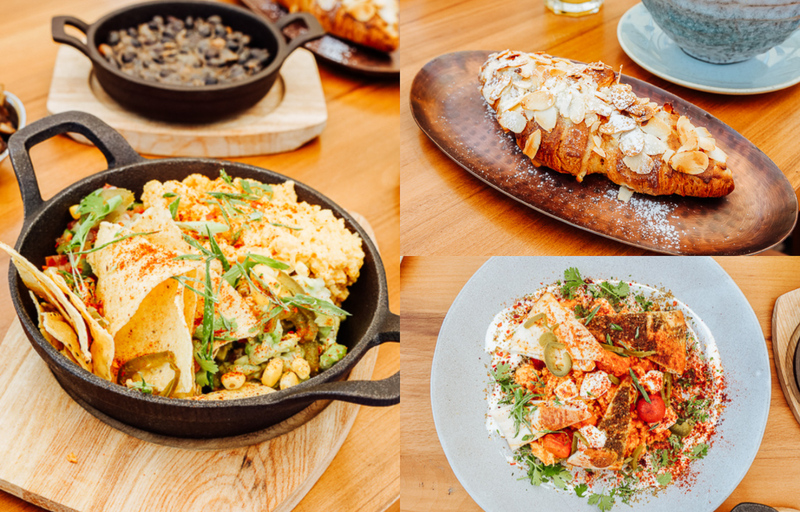 The menu changes all the time, so expect to see new & innovative dishes pop up between visits. 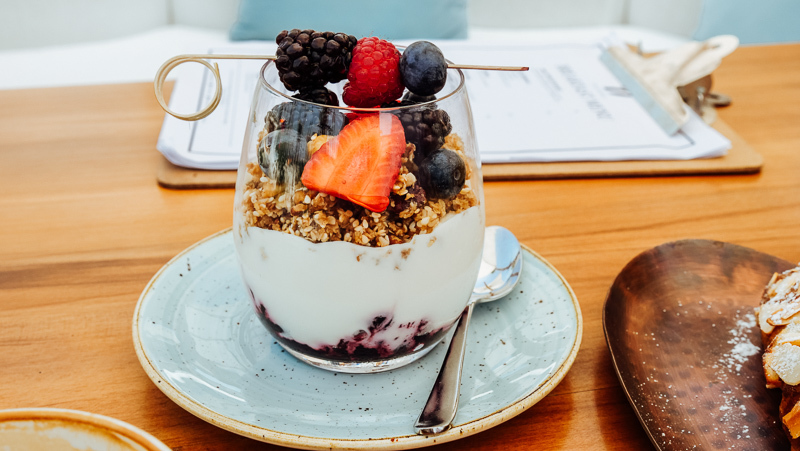 And if you’re really hungry, the buckwheat granola parfait is also highly addictive! 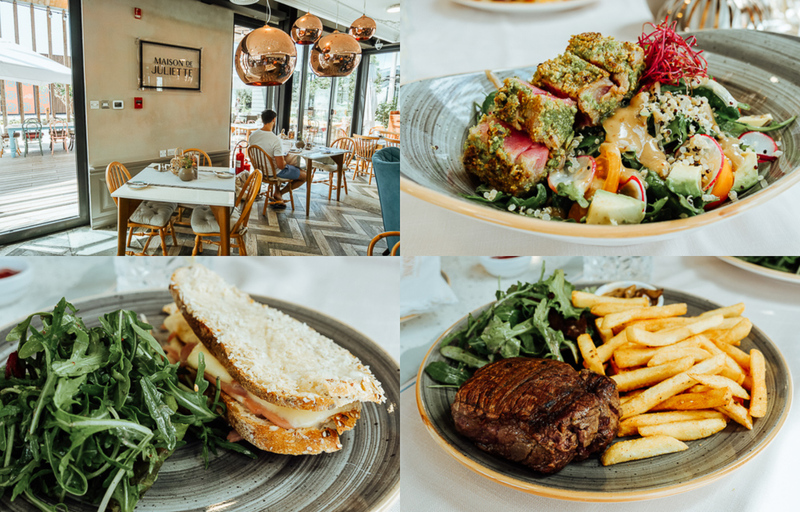 Expect indulgent croque-monsieurs, colourful, pastry-encrusted goats cheese salads and your French classics such as steak and chips. 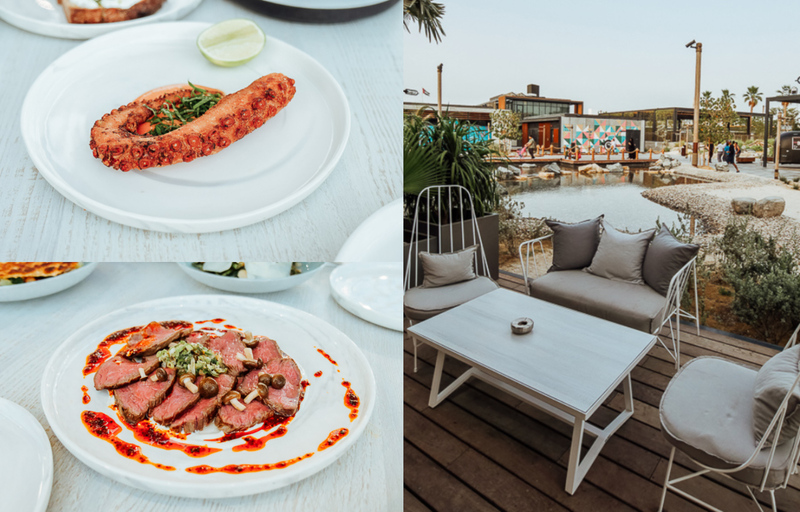 Maison de Juliette is further down on La Mer, a quieter spot set slightly back from the beach but surrounded by a whimsical array of decadent white flowers and rustic, chic-shabby outdoor picnic benches. It has personality, a unique Dubai touch, with fresh food that will be sure to put a smile on your face! Now whilst I’ve visited SLAB a fair few times for lunch, I chose this as my dinner spot because it really is something special. It’s also the place I’m going to give you a chance to WIN a free 5-course dinner Iftar for two at! (See bottom of post for details). Slab was created by an investment banker named Fadi Al-Said, (foodi_fadi on Instagram) bringing his experience of flavours from around the world and personal journey into health and clean eating and turned that into a restaurant that hits the nail on the head when it comes to ingredient-focused dining. Using influence from the concept ‘farm-to-table’, SLAB centers itself around bringing extraordinary flavour to quality ingredients … and boy does it shine through! Their kale and crispy shallot salad is hands down the best of it’s kind I’ve tasted, and to be frank, the rest of the dishes don’t fall too far from brilliance either. 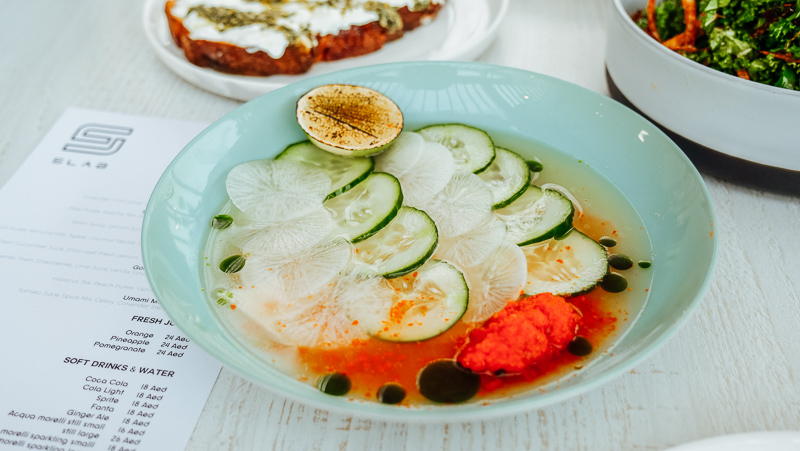 How to win a dinner for two at SLAB? 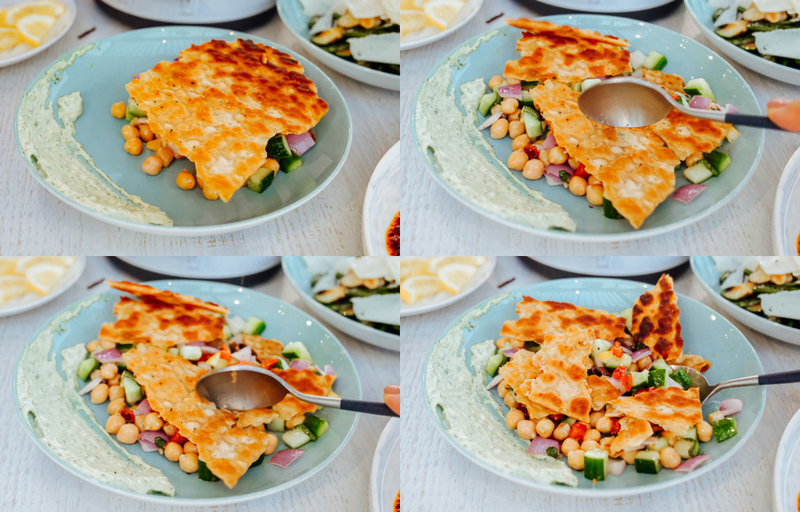 Simply comment below on this post, picking one of the below dishes that you think looks most wonderful to you and write it in! I’ll name each of the dishes underneath :) I will then pick a winner at random out of the comments written and announce the winner on May 24th. You and a friend will get to visit SLAB anytime during the month of Ramadan to experience their 5-course menu amazing IFTAR. Chopped salad with flatbread Crispy kale and shallot salad. Organic salmon with miso brown butter. Comment below with your top dish pick!! I couldn’t write a La Mer blog post without including the sensation that is Hola fruit delights! 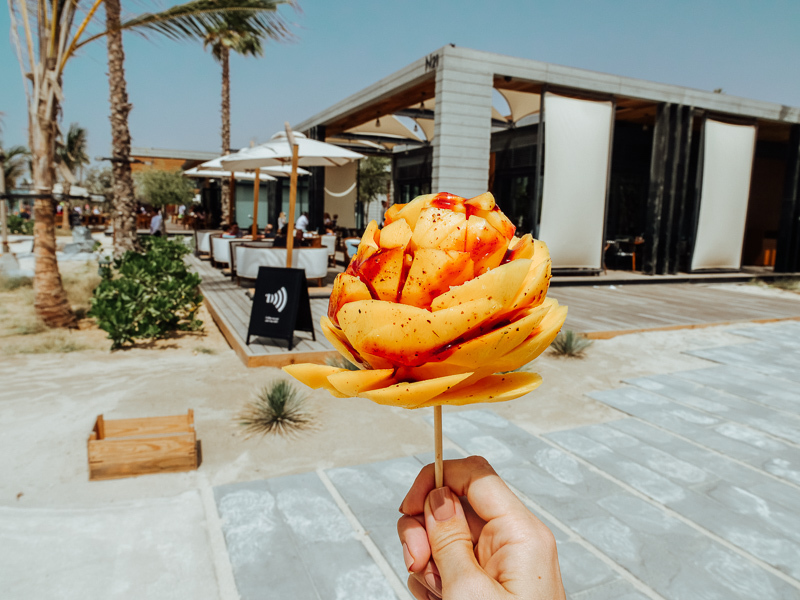 With a no refined-sugar policy, they create everything from raw avocado ice cream to my favourite thing in ALL the land … their Latin-American inspired ‘mango rose’ topped with some kind of salty / spicey sauce. I’m not sure what thye recipe is but it is MAGIC! You must go check it out if you head to La Mer. I hope you all enjoyed this post and recommendations on La Mer. Any questions please do leave them below and don’t forget to comment with your favourite dish from SLAB to win that dinner for two! By Carly Neave, May 14, 2018 Hello and welcome! I'm Carly, originally from London but currently enjoying a little adventure in Dubai. A travel and wellness blogger exploring the world one step at a time. Think fabulous food at undiscovered gems, unique destinations, skin care obsessions and so much more. This is my life, I hope you enjoy the ride! Thank you so much for all your entries guys and girls! Congratulations to Daniel for winning the Iftar for two! I will try and do as many of these lovely giveaways as possible so stay tuned and thank you for everyone’s support in the meantime. Organic Salmon with miso brown butter! Always the salmon. Followed by Hola for desert. 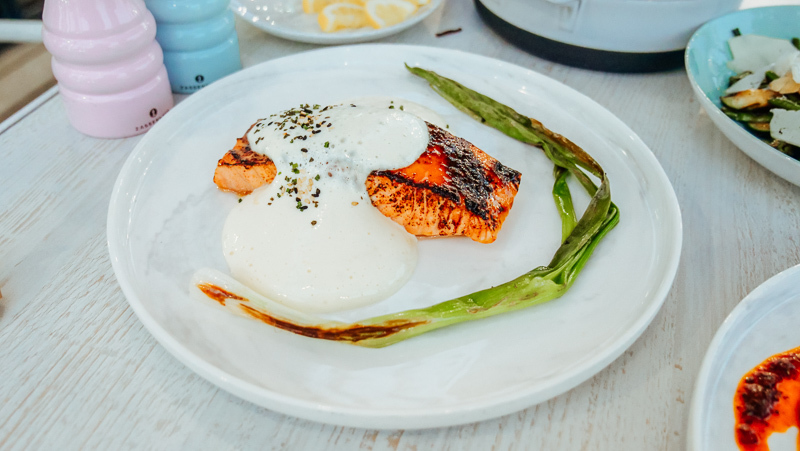 Ummm that Organic Salmon with Miso Brown Butter looks beyond. Yes please!! I’d absolutely love to try the “Stracciatella cheese-topped bread” from SLAB. Having grown up in Dubai, most of my late night binges throughout the years have included Cheese Bread or Manakish from Al Reef Bakery. SLAB’s version looks like a modern twist to one of the regions iconic foods. The creamy Stracciatella cheese-topped bread, for sure! Mouthwatering Crispy octopus and beef tataki. I LoVe to taste this. The beef tataki looks insane!!! Yummyyyy kale and shallot salad, would defo give it a try with a coconut helado afterwards from La HOLA! I really love those places , nice choices! Crispy octopus looks ace – 100% sensational! That Organic salmon looks delisshhhh! 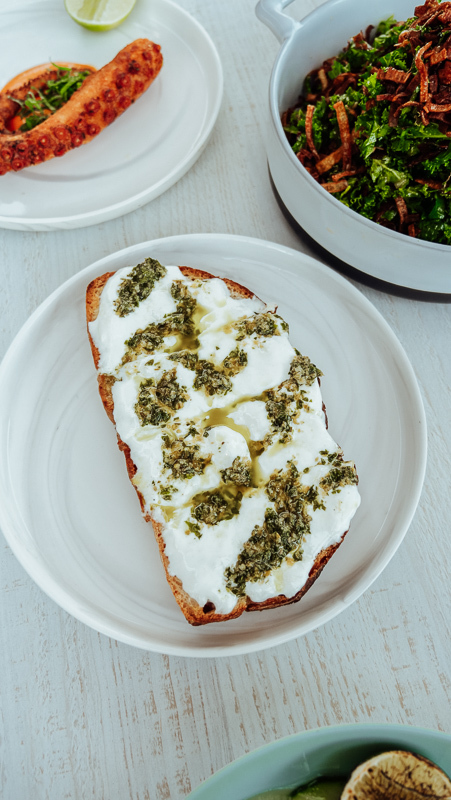 The Stracciatella cheese-topped bread looks out of this world!! 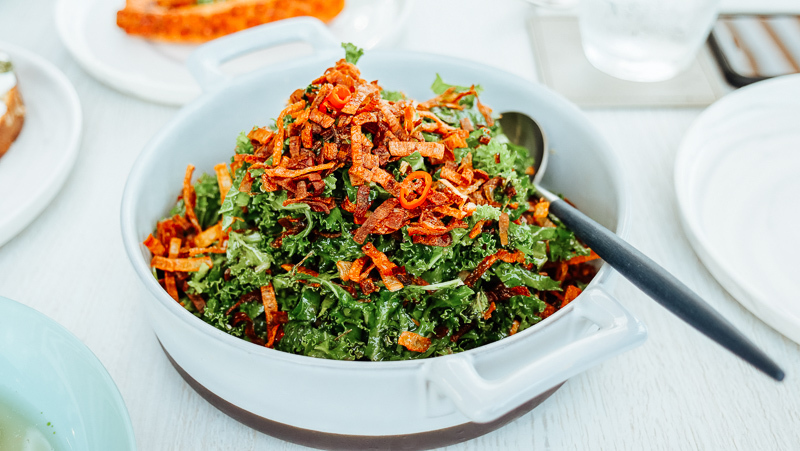 Honestly, I need to try the Crispy kale and shallot salad! It makes kale look YUMMY! Defo my pick. All the food looks delicious, especially with my pregnancy cravings right now!!! Would love to try the Organic salmon with miso brown butter. Love La Mer, such a cool spot! Oh wow!! That beef tataki though, looks perfect!